One of the most practical (and needed) workshops covered at last week’s Orange Conference was a breakout on including teens and pre-teens with special needs. The workshop began with each speaker sharing about how their church’s special needs ministry is set up. Each ministry offers different classes and environments, depending on the needs and ages of the participants. All three churches work to include kids with special needs in their typical ministry environments. However, for a variety of reasons, some ministry participants are better served in a ministry setting tailored to their needs and learning pace. 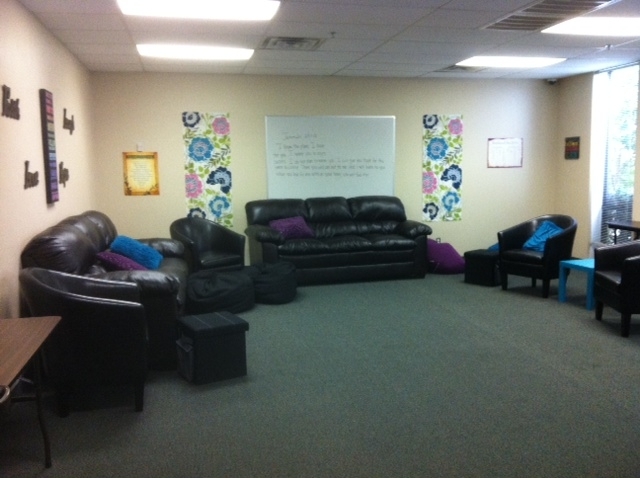 Meaghan Wall kicked off the workshop by giving a quick tour of Stonebriar Community Church’s “GIFT” Ministry’s space. (GIFT stands for God Is Faithful Throughout.) 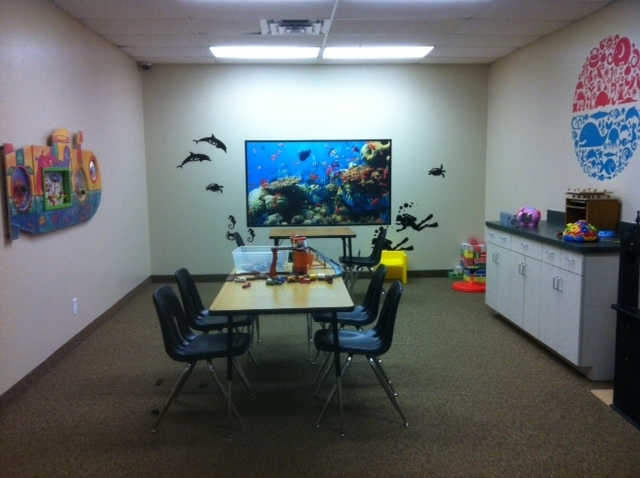 Pictures of Stonebriar’s space can be seen in this earlier series of posts. Meaghan talked about the “tweeners” ministry environment, touching on the fact this environment uses iPads as a tool to communicate Bible teaching. 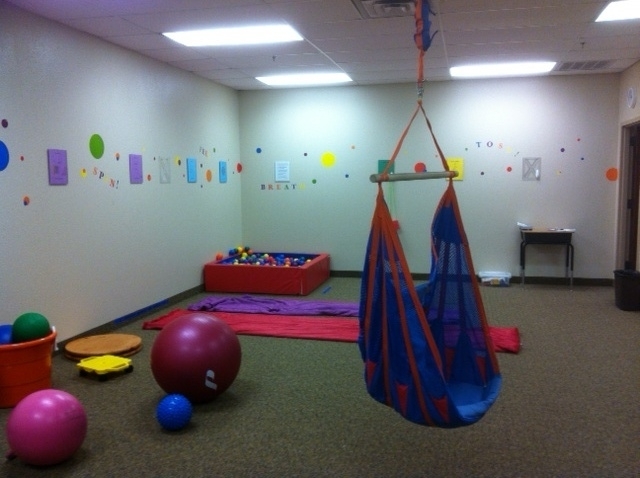 Wendi Akers gave us a brief tour of the SOAR ministry space at Lake Pointe Church, which includes a room set up for older participants with special needs. Wendi also talked about the “Move and Learn” class which includes some middle-school aged participants. In addition, Lake Pointe’s SOAR Ministry offers an environment specially designed for older teens and young adults with Asperger’s syndrome. This relatively new class is designed to facilitate interaction and encouragement for participants who want a place they can be themselves, feel understood, and experience complete acceptance. This new ministry environment has already proven to be a huge success. for Lake Pointe’s SOAR Ministry. Before joining the church relations team at Joni & Friends, Stacy Hodge served as the Minister to Special Needs at Hunters Glen Baptist Church in Plano, Texas. As it turned out, teen inclusion was Stacy’s primary focus while serving as the special needs ministry leader for Hunters Glen. When Stacy began leading Hunters Glen’s CARE Ministry she remembers the Sunday worship service following the church’s student retreat weekend (Disciple Now). Pictures of church teens engaging in silly activities and group Bible study were flashed on the big screen in the worship center. Noticeably missing were faces of the students with intellectual disability and special needs who also attended the church. Stacy talked about how seeing those pictures broke her heart because she knew that the CARE ministry teens were sitting in the worship center watching this big display of fun and friendship… and they weren’t included. Stacy wanted that experience for the CARE ministry students. By the next year Stacy had developed a plan for students with special needs so that they too could experience the church’s teen retreat weekend. For four years, Stacy led the a teen group for students with special needs as part of the church’s Disciple Now. In the picture below, Stacy is teaching a modified version of the Disciple Now curriculum that mirrored the material that typical students were utilizing in their own DNow groups. 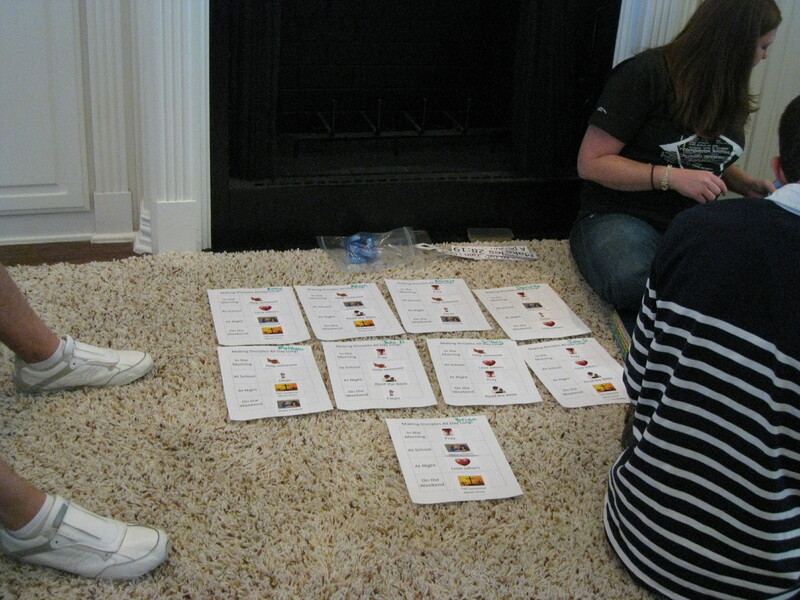 Stacy provided an example of a modified lesson that she created for CARE students participating the retreat weekend. 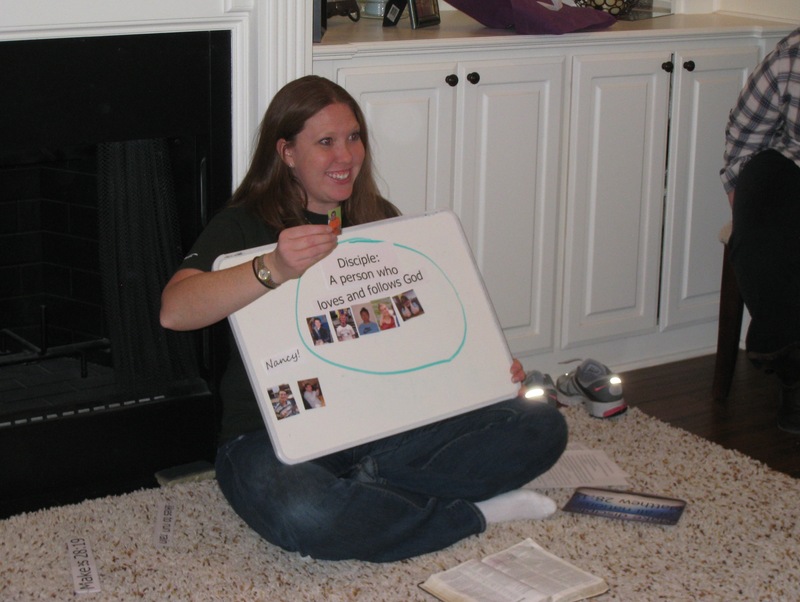 You can access the example lesson here: Teens with Special Needs Handout – Stacy Hodge Disciple Now – AFL 041813. Meaghan, Wendi, and Stacy all talked about the sensitivity of providing a designated environment for older kids and teens with special needs. For a number of reasons, some students are more likely to experience success in the church when they have a setting tailored to their needs and learning style. All three ministry leaders shared stories where initially there was concern about the appropriate placement for a particular teen inside the church. Understandably, some parents had been resistant to having their child placed in a special needs environment. Stacy and Wendi both shared powerful stories (with fantastic pictures and video) where a student in their ministry had experienced significant spiritual growth as a result of their participation in the tailored environment. The intentional teaching and the facilitated connection inside an accepting environment had been key factors in helping some students develop a relationship with Jesus Christ. And perhaps the positive experience for the student wouldn’t have been as likely in the typical ministry environment. As parents were able to see their child understand and grow in faith (and make friends), they were more comfortable with the accommodation plan for their child. For more complete bios of each of the workshop speakers, see this earlier post: The Orange Conference Special Needs Ministry Track Speakers. NOTE: The pictures, handouts, and content presented in this post are shared with express consent of the named workshop speakers. If you desire to utilize this material for a workshop or to share elsewhere in-print or online, please obtain permission directly from the named ministry leader. You remind me that all ministry including for special needs is important and flourishing! Thank you for posting!